Grab some toys for your kids with this deal from Target! This week they are offering a buy two, get one FREE sale on select toys! Plus, a lot of these Target toys are already on sale! For example, get the Minnie Mouse Bloomin’ Bows doll for $19.99 (reg. 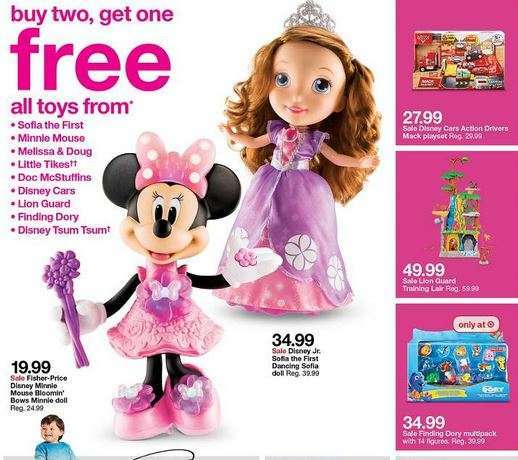 $24.99) and the Dancing Sofia the First doll for $34.99 (reg. $39.99). This deal is valid through 12/10 at your local Target store.